It is an awfully long time since I last wrote a blog! It isn’t because I didn’t want to – it was just the usual problem – Time! The Worldwide Botanical Art Exhibition held in May 2018 took over my life virtually from the latter part of 2016. Initially it was to put on the UK arm of the exhibition, but this evolved with the development of ABBA. 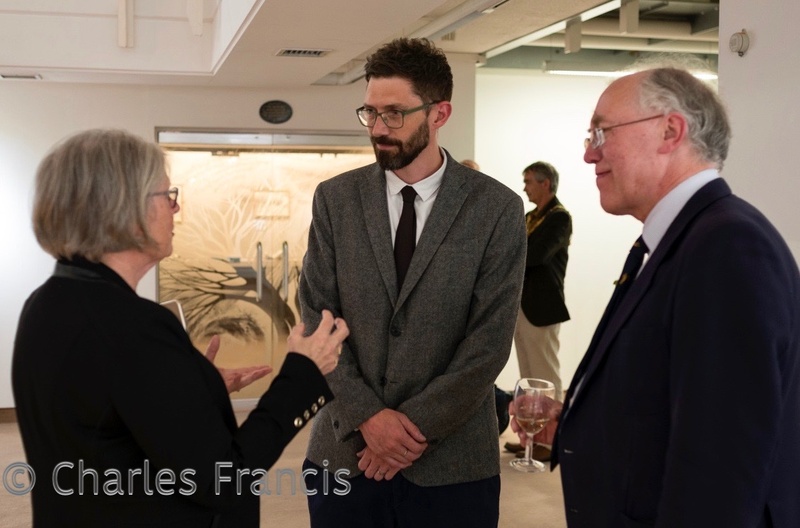 My last blog post was following the London RHS exhibition in July 2018 when I, as part of ABBA (Association of British Botanical Artists), helped man its stand. We had a great response to the formation of the organisation and found that there was a huge expectation and need for us to continue. That is where all my time has gone! After the RHS exhibition I realised that I had to get my own botanical art life back on track. I knew this would take time as work would continue with the development of ABBA. I have previously mentioned the preparation I was doing for my own next RHS exhibit. It is a series of plants from the Norwegian mountains. Robin and I travelled to the beautiful Norwegian mountains in early August, where I continued to sketch my chosen subjects. In 2017 I had sketched my subjects in flowers this time I hoped to catch all of them with fruit. As we all know, the climate changes from year to year, so it is difficult to judge when is the absolute best time foreach of the plants. Heat and drought had also struck Norway, but luckily enough after much hunting we managed to find examples of everything. Whew! Initially I had planned to get the series of paintings ready to exhibit this year, five years since my last exhibit and the last year I am allowed to do so without being re-assessed by the RHS. 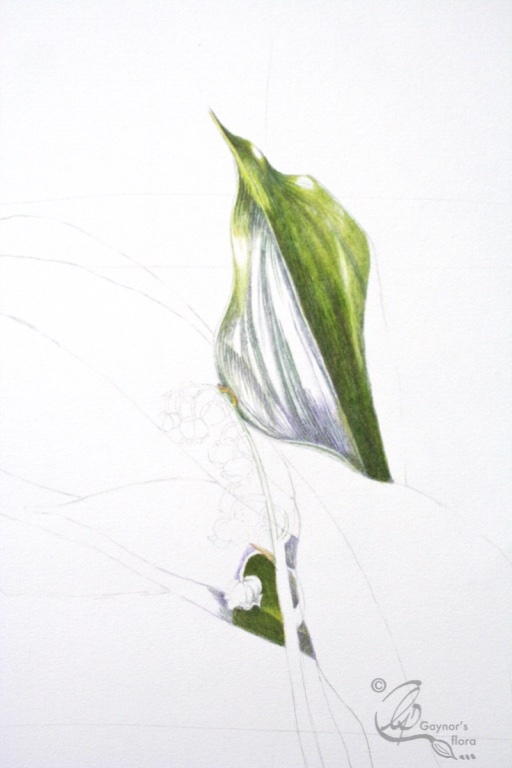 One has to be able to produce botanical art at a consistent set standard before being allowed to exhibit. The standard is rising year on year! But because of all the commitments already mentioned, I was unable to start on my final paintings and they will not be ready in time. I will not rush them. This means I have to go through the RHS application process again. Here’s hoping they don’t refuse me! 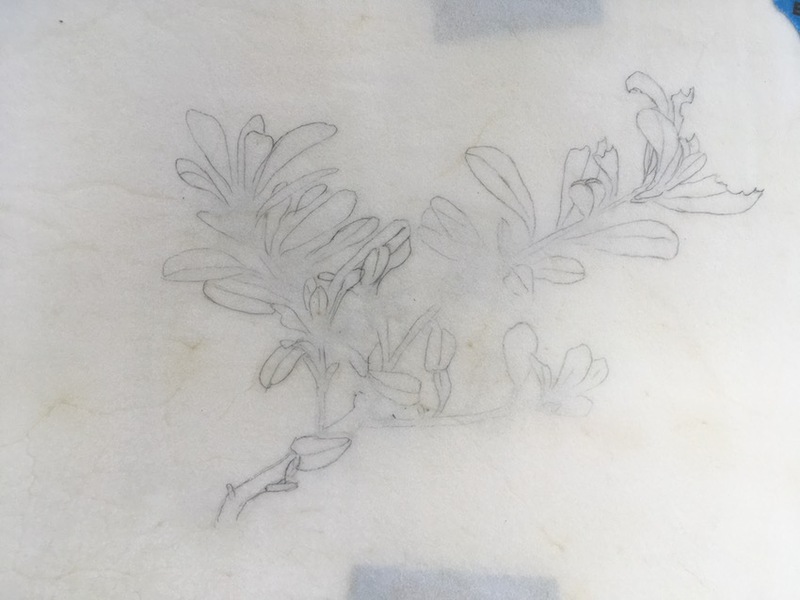 The sketches below were done in 2018 and are fruit, leaves and roots from three of the plants. In actual fact, I could write about my time sketching in the mountains and about each of the plants in detail. Perhaps one day I will. The more I learn about them the more fascinating they become. Cloudberry, Cowberry and the tiniest plant is Cranberry. There was a heatwave in the UK whilst we enjoyed cooler conditions at 900 metres in Norway. When we returned home for a short period the weather cooled down. In October we travelled to experience Spring in Western Australia with my sister. Again there was a heatwave in the UK whilst initially in WA we were dressing warmly with anoraks, jumpers and boots. My husband loves the warmth, I like it in between! It was cooler in the southern part of the state, but quite warm by the time we went north. Whilst in WA we saw the most amazing varieties of spring flowers and took nearly 3000 pictures. Imagine if we had done this on the old 35mm cameras! I perspire (as I am a woman) at the thought of getting them all processed. These pictures are from the northern part of the state near the Pinnacles in WA. It was apparently the worst period for flies. Although we laughed at the idea of wearing fly nets over our hats, it didn’t take many minutes to change our minds. But the flies still managed to get in many nooks and crannies you didn’t know existed. Since we got back at the beginning of November I have been trying to catch up. Nothing has been straight forward, but I now see this blog as the beginning of getting back to some state of normality – even if the ABBA website launch and membership is only a few days away. I have decided that my next blog will show you how I have changed the ergonomics of my workplace in the shed. Hopefully it will be of interest as a well adjusted workplace is the best way to keep one healthy enough to keep on painting for many years. I have been really bad at keeping on top of my own website because of all the work in relation to ABBA (Association of British Botanical Artists). Therefore this information about my participation in the RHS exhibition next week is not on the right page! Sorry about that, but I am telling you a little more about it now and hope that you will be able to make it. Following on from the exhibition ‘In Ruskin’s Footsteps’ at Lancaster University, we (ABBA) have a stand this coming week at the RHS Plant and Art Fair, which for Botanical artists is a very important event. It is on 11th & 12th July at the RHS Halls in London. 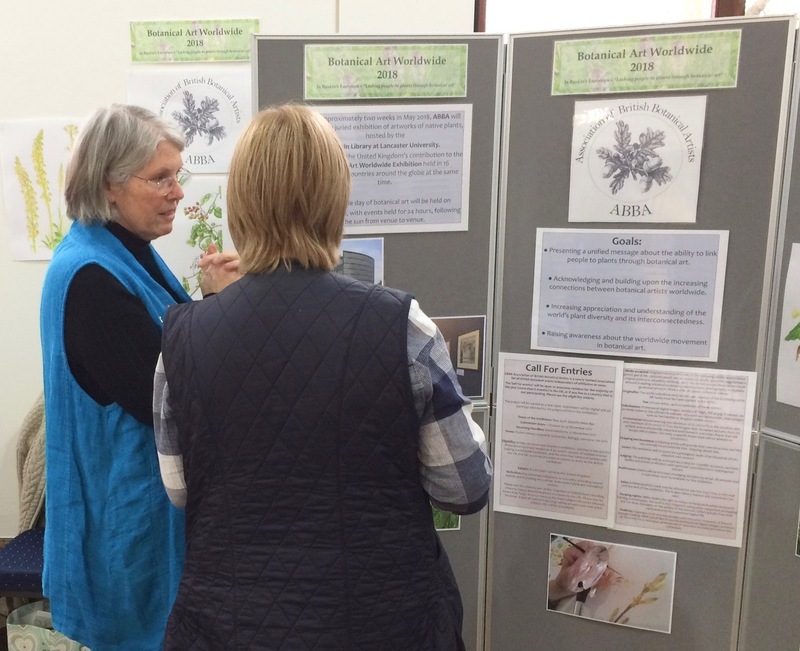 ABBA have a stand with the majority of Botanical artists, in the Lindley Hall. As I said in my last blog, Follow the Banner! We are exhibiting five of the original pictures from the juried exhibition in Lancaster, giving everyone a further opportunity to study them. 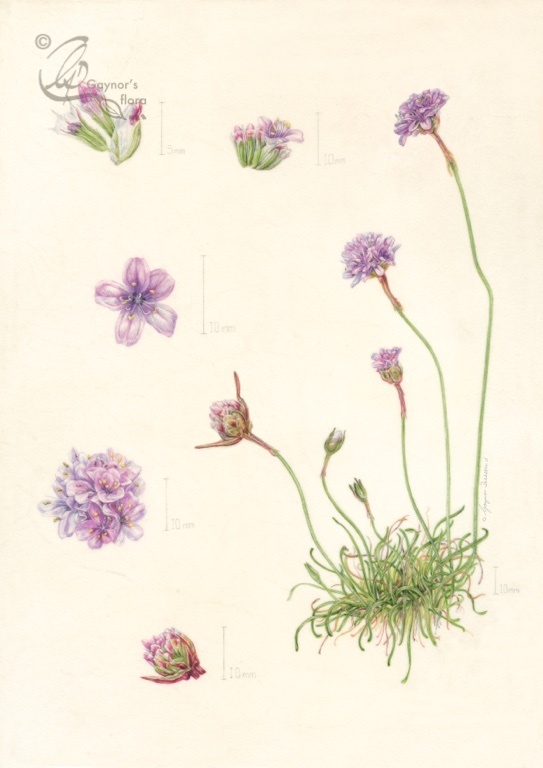 One of them is mine – Sea Thrift, painted on vellum. I mentioned that I would be demonstrating at the exhibition and now it is clear which medium I will be using, also which plant I will be painting. I had intended getting my own exhibit finished for the RHS exhibition next year, but because of the amount of work that has gone into ABBA, I have decided to put this off until 2020. My topic is ‘Foraging plants of the Norwegian Mountains’. It became very clear whilst going through the various phases of the Worldwide exhibition preparation, that although the UK is a distinct island it is still part of the European Continent. At one point in our history we were connected without needing to use a tunnel, boat or plane. Our plants bear witness to this in that many of the plants that are native in Northern Europe, are also native in the UK. However, some may not be so common these days. One of my series of plants is the Arctostaphylos uva—ursi, Common bearberry in English and Melbær in Norwegian. It looks similar to a Crowberry, but is white inside (floury), giving its Norwegian name. When picking Crowberries it is not popular to mix Bearberries in by mistake as they don’t taste quite as nice, although edible. Also it is a stone-fruit and not a berry! ABBA wants to encourage botanical art in relation to our native flora. As I intend to paint the series on vellum, I will be using this medium on the ABBA stand at the RHS. 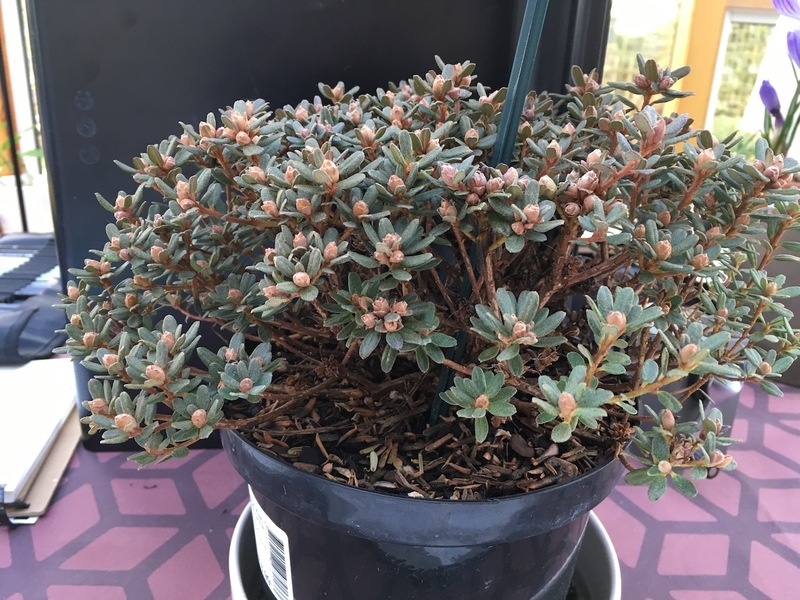 I have a nice little plant of the Bearberry with the beginnings of small flowers. The image is already transferred to a small piece of vellum which will be ideal to practice on and make decisions about which colours to use. You might be just able to see that in my sketchbook I have quickly done a rough tonal drawing, indicating where the light is coming from. 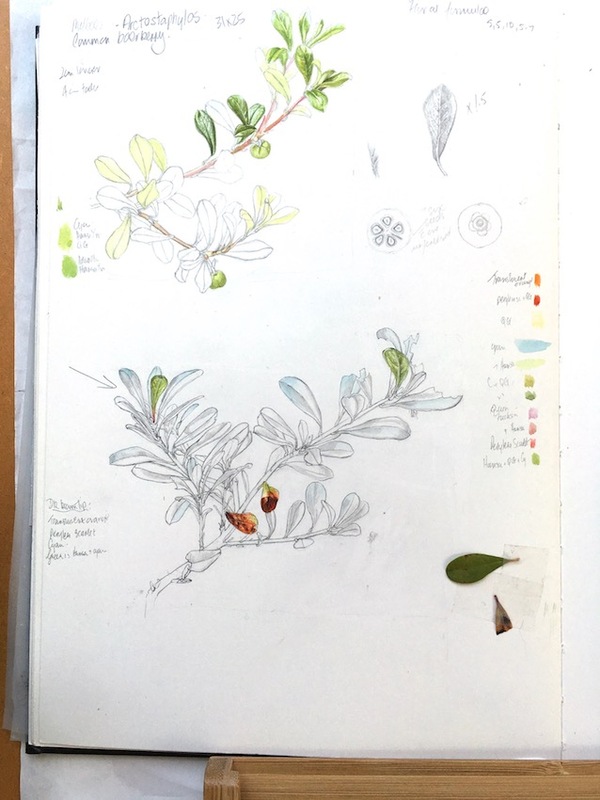 I have also put in a little blue to indicate where the light of the sky has reflected on the leaves and started indicating the difference between the colour on the front and back of the leaves: but that is in my sketchbook. Which colours I will actually choose to use on the vellum, remembering that colours appear far more intense on vellum as it reflects the colour of the pigment better than on paper, will be the result of this trial piece. In addition to my demonstrations we will be talking with people to find out what they want from ABBA in the future and whether they – you, want to be part of it. 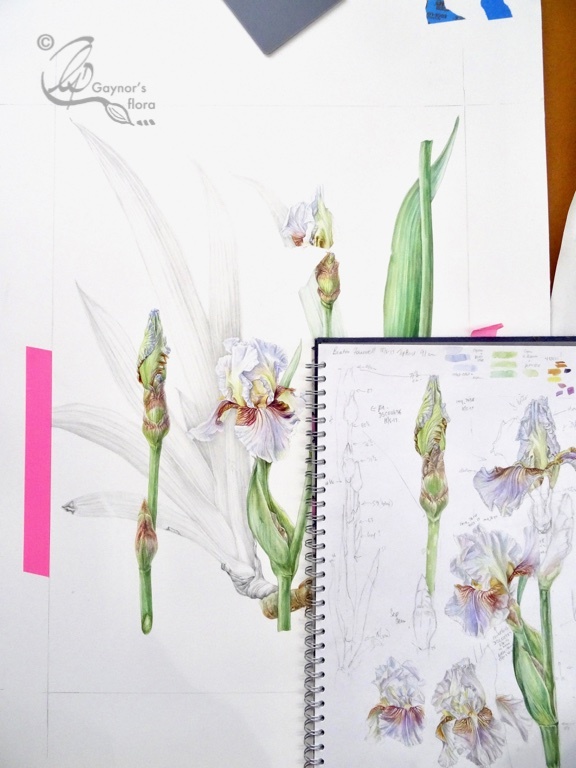 Our focus will be to help anyone, anywhere, interested in botanical art to learn more. But there is a little icing on the cake: The RHS have agreed to show the Botanical Art Worldwide exhibition slideshow from 25 countries. This will happen in the talks area of the Lindley Hall, between and after the talks. But just in case you want to see it otherwise, we will be showing it on the ABBA stand. This is the last opportunity to see the Worldwide Slideshow! If you want to follow my blog then please do sign up for it on this page. 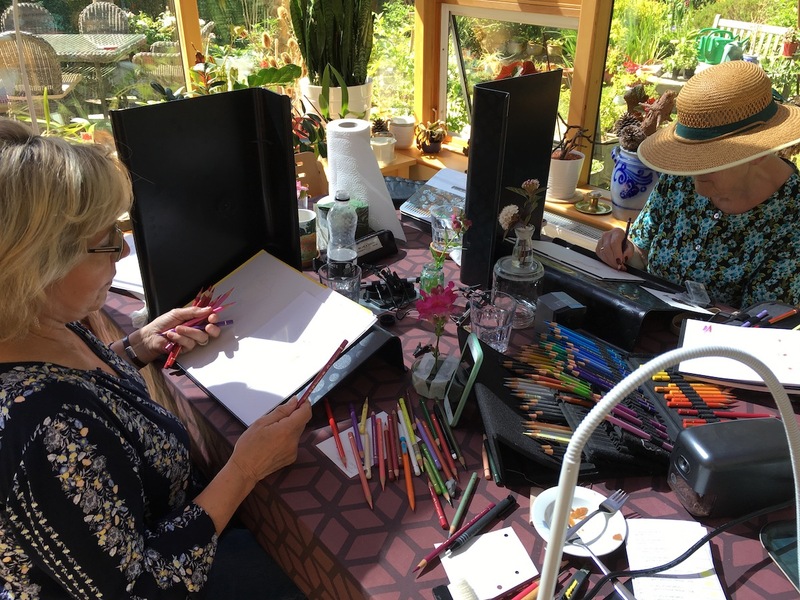 However, if you would like to get the occasional email from me about workshop availability or general information about my botanical art news, then you will need to sign up for this separately. Below is a link to subscribe to either or both email lists. You can easily unsubscribe at any time. You might very well wonder what the connection is particularly if you didn’t read my last blog a month ago! ABBA stands for Association of British Botanical Artists. For some of us working with ABBA during the last year, at times we have been so busy that we felt as though we could buzzzzzzzzz away to something more relaxing. But we stuck with it and had a lovely exhibition at the Peter Scott Gallery, Lancaster University. That was the start of ABBA, formed to take part in the Botanical Art Worldwide Exhibition where we were one of 25 countries taking part. For my part, I co-ordinated the UK offering. But, whilst doing this it became very clear that there was a wish for ABBA to develop into an organisation that catered for everyone interested in botanical art. We are now putting things together to develop ABBA. Do come to the RHS Art & Plant Fair at the RHS Lindley & Lawrence Halls in London 11-12th July where we have a stand. You will be able to talk with me and my colleagues about our plans for ABBA’s future. Hopefully we can encourage you to join. If I get time, I will be having some work there to demonstrate on, but I haven’t decided in which medium. That can be a surprise! So what has been going on with me since my last blog? I had a very interesting workshop at the end of May, where we concentrated on colour mixing. This is the sort of workshop that everyone says they want to do, but when it actually happens, life has taken over. But some people did sign up with an attendee from a loooooooong way away. Although there was the opportunity to work in watercolour, people chose colour pencil. The results were amazing and there were pencils everywhere! In fact, it became so thoroughly interesting that I continued with my weekly class on one colour found to be a real challenge. See if you can find a solution. I have to say it was slightly easier in watercolour than colour pencil. But a lot of layers are necessary no matter what medium you choose. Following on from that was the event at the Stansted Park Garden show. We again had a really super show and met a lot of lovely people and the weather was perfect. I notice that I am listing up events, which is not what my blog has normally been about. I want to show you work that I have been doing, but everything has been done in small bites as we race around the country setting up, taking down and planning. 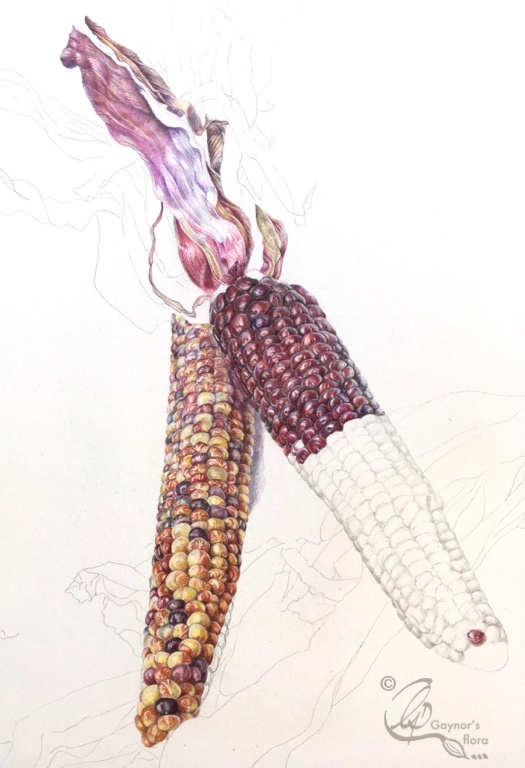 But I did work some more on my Indian Corn in colour pencil. Luckily the fruit part of the corn doesn’t change too much over time as long as you look after it and keep it away from the light and gnawing bugs. But it is different with the leaves. I do need fresh supplies of those if the colour is to remain vibrant. I hope to see you at the RHS in a couple of weeks time. Do let me know if you have read my blog! If you want to only follow my blog then please do sign up for it on this page. 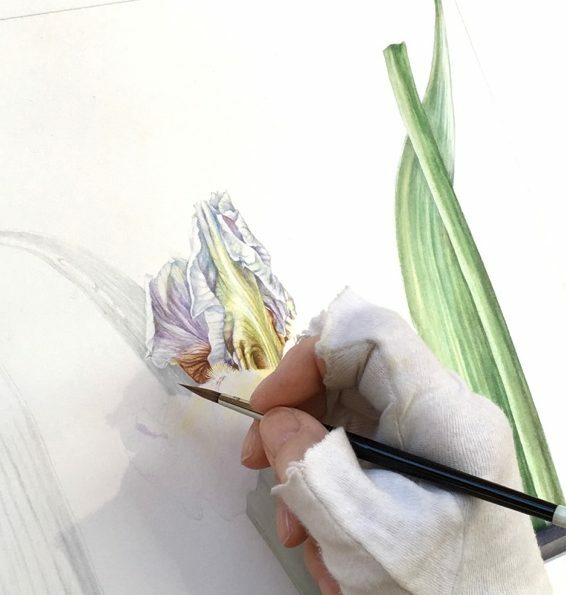 However, if you would like to get the occasional email from me about workshop availability or general information abut my botanical art news, then you will need to sign up for this separately. Below is a link for you to subscribe to either or both email lists. Goodbye to “Farewell” and hallo to another project start. 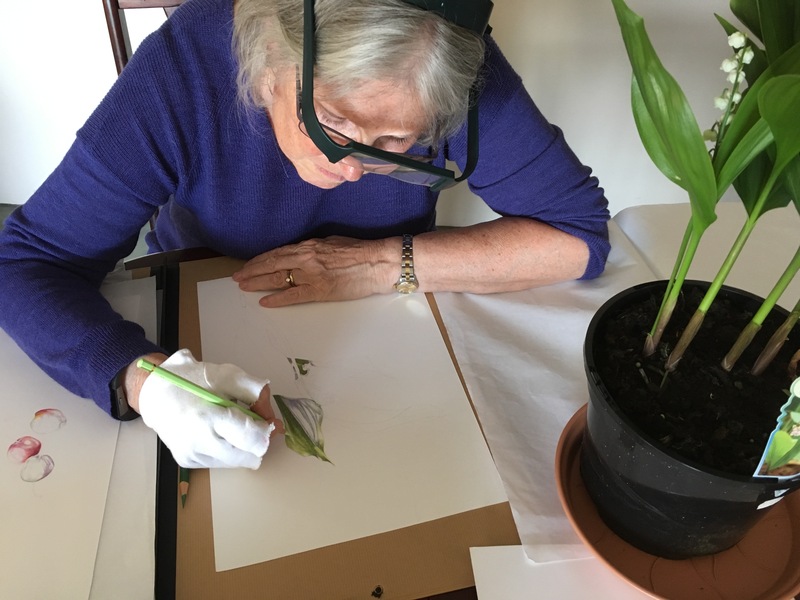 The Easter break has been and gone, visiting family who enlivened the recent days have gone back to their own homes and it is back to botanical art. I will say farewell to “Farewell” (the Benton Iris) at the end of this blog, but invite you to see a couple of developments. My project for the Chelsea Florilegium this year is the Rhododendron impeditum. It is an exquisite dwarf Rhododendron. Why I do such tiny plants, I have no idea. I spend a lot of time trying to think out how I am going to portray it even before I start. 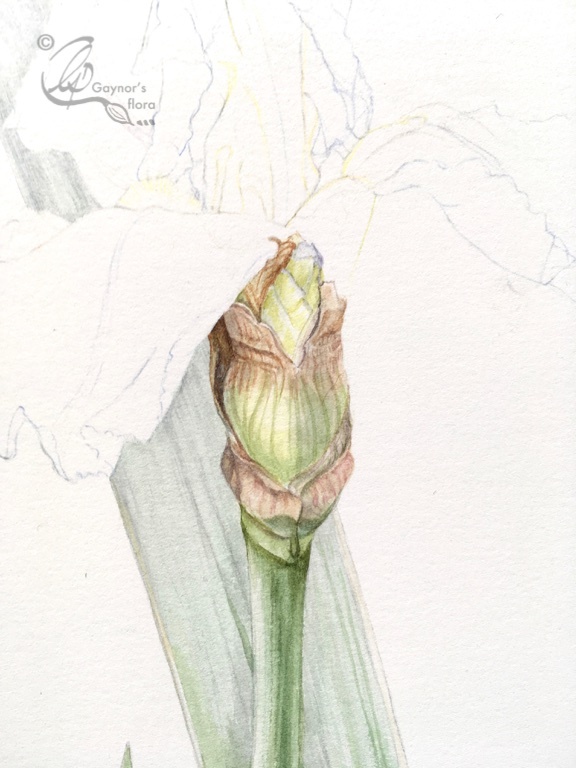 I know that it won’t be easy but at the moment I am doing as many sketches of it as possible before the buds open. Initially the buds looked fairly dead and in fact the winter did kill off my first plant and killed the buds of the 2nd plant. Luckily I managed to find a 3rd one, so my sketches so far have been from this one. I think I will tickle your imagination as to how I might tackle this by just showing you a picture of my plant this time. With any luck, before too long I might have a better idea of what I am doing because soon the plant will flower and I will need to capture the detail on paper. 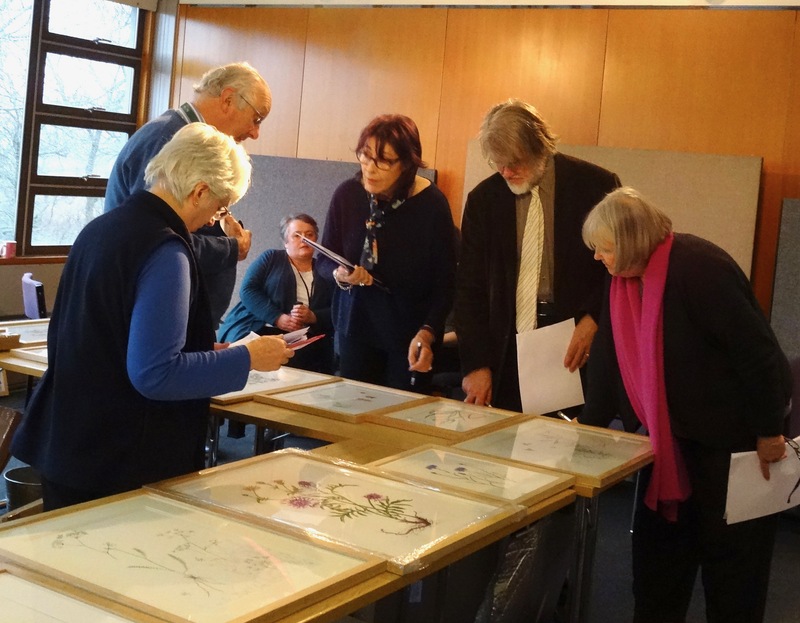 There is still a lot of work to do in preparing for the UK part of the Botanical Art Worldwide Exhibition – In Ruskin’s Footsteps. I hope as many people as possible will put the dates of the exhibition into their diaries. 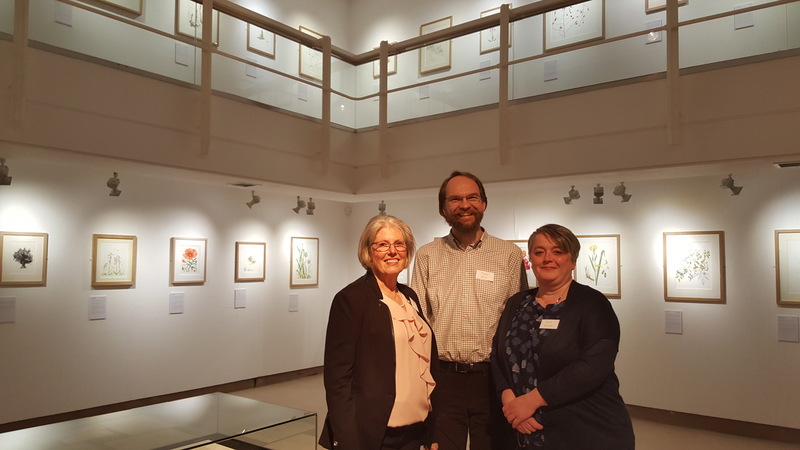 It will be held at the Peter Scott Gallery, Lancaster University between 18th May – Worldwide Day of Botanical Art – and 9th June. It will be open on weekdays between 12:00 – 17:00, and there are two special event days on Saturday 19th May and 9th June. These Saturdays will be open from 10:00 – 16:00. 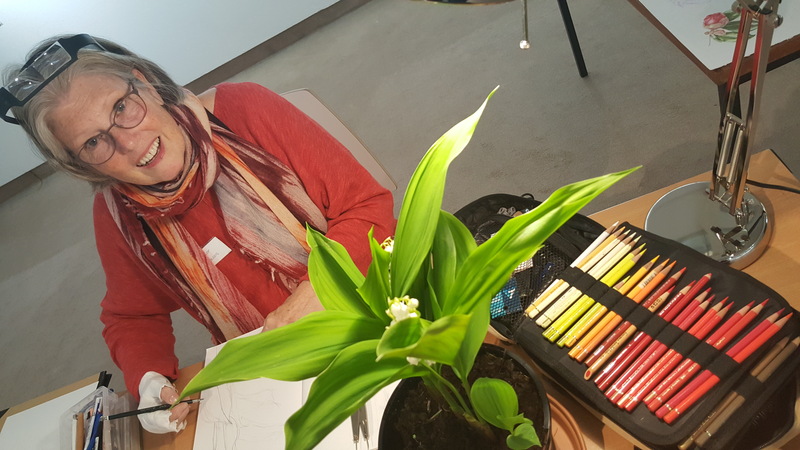 Apart from the 40 juried pictures of native flora on view, we will also be having some demonstrations in botanical art and in depth tours of the artworks on the special event days. All this in addition to showing a continuous slideshow of roughly 40 pictures from each of the 25 participating countries throughout the whole exhibition. I think this exhibition will be very different to any one you will have seen before because of the involvement of so many countries from around the globe – all at the same time. I also want to share with you the excitement I have felt recently because of one of my plants from Norway. It is called Empetrum nigrum; hermaphroditum (Krekling in Norwegian or Crowberry in English). Normally this plant is either male or female, but at high altitudes it has both sexes in the same plant. During the autumn my plant developed some flower buds. But nothing else happened until this last week when a couple of them started opening and showing petals. I took this picture with a macro lens on my iPhone. The actual size of each flower at this stage is about 2mm. I am keeping my fingers crossed that they will be fertilised so that I get fruit in the autumn. By the way, this is one of the plants that I will be painting for my series of Norwegian mountain plants. So finally, the Benton Iris ‘Farewell’. I am pleased that I own the copyright for this picture. Hopefully, through this series of paintings with the Benton Iris ‘Farewell’ you will have understood how important it is to plan and prepare a painting from the initial composition , through tonal sketches, practicing techniques to finally the painting. 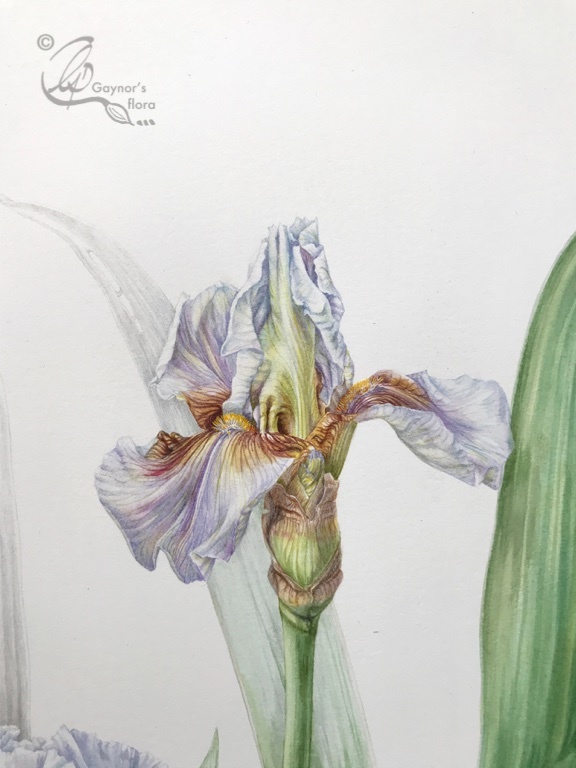 Because i believe that good preparation is the basis for getting a result in botanical art that I am happy with, I planned this year’s workshops to help others with this process. The next one is 23 -24 March and is all about developing the careful line drawing and using it as a basis for the rough tonal drawing. There are still places, so do get in touch. But back to the Benton Iris. Actually as the painting has developed I have felt some sadness that there isn’t too much left. Obviously I also learn from doing it and this painting has been rather different to ones I have done before. It has been quite a large painting, it is on 640 gsm which doesn’t feel quite as smooth as 300 gsm paper. I used quite a bit of graphite so that the picture would not be heavy and doing this on the 640 gsm was not so easy. It was important to show all the intricacies of the plant, to get them absolutely right and to make it an attractive picture as well. The view showing the Stigmatic lip. This is the view into the flower showing the sexual organs. 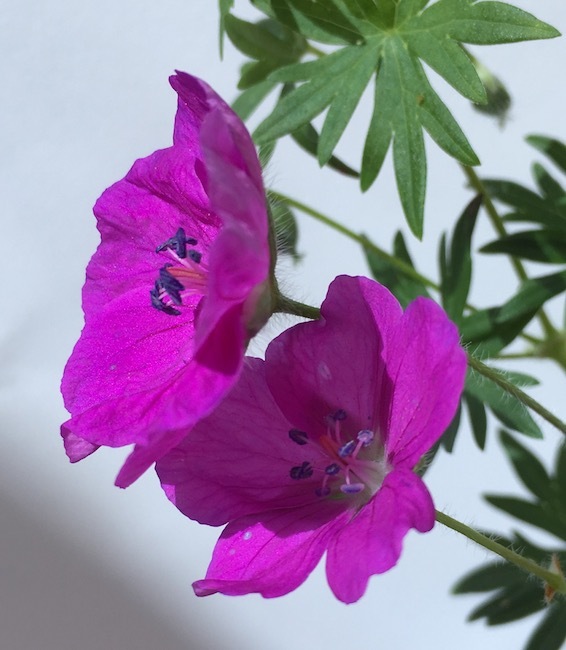 look very closely inside the back of the flower and you will see a slight transverse ridge; that is the Stigmatic lip. The Stamen – male organ, is vertical, deep inside the flower and just below the transverse ridge. The pollinator climbs over the beard to try and reach the nectar deep inside the throat of the flower, gets pollen on its back and rubs it off on the stigmatic lip, fertilising the plant. You will see this view in more detail in the last blog. The height of the flower spike. The height of the leaves particularly related to the spike. The top part of the rhizome. This time my pictures show the development of one of the falls. This is the final stage of the top flower. I will show you the complete painting in the next blog, so that you can judge whether or not the painting is successful. It is the viewer that determines this. 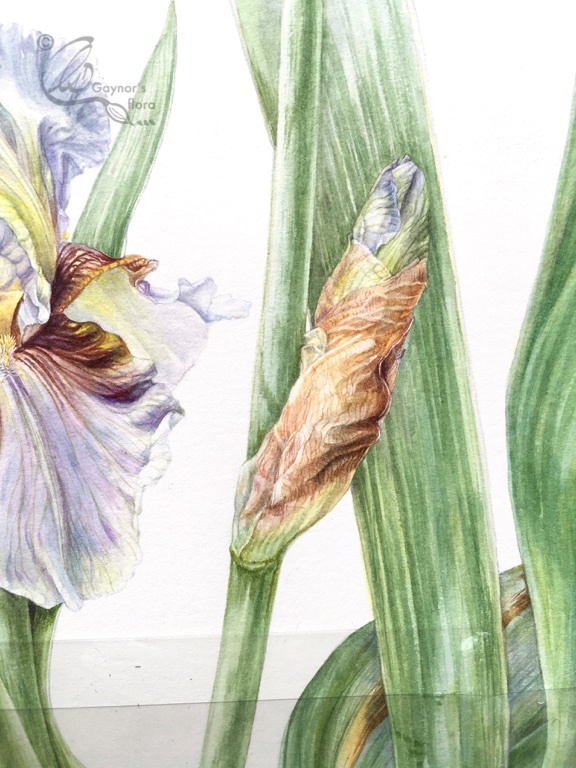 Trying to paint more with the Benton Iris – work that I love doing, has been complicated by all the adjustments in relation to the botanical art exhibition ‘ In Ruskin’s Footsteps’. But you can now see the updated website in relation to the new improved venue (still at Lancaster University) and adjustment to the dates. I will give you the link at the end of this blog. In my last blog I showed you my progression in relation to the large fan-like leaves of this majestic plant. 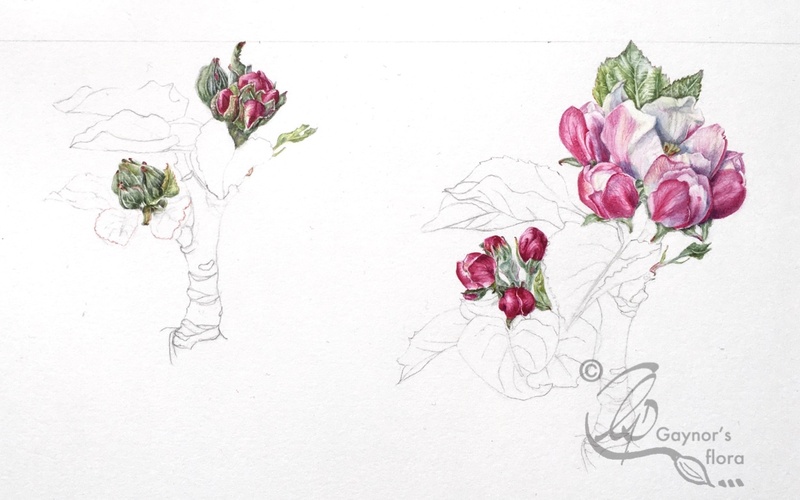 I chose to include only colour for those on the right hand side of the artwork and graphite on the remaining leaves. This was so that the picture would not be overwhelmingly heavy with green leaves. I finished off last time with the bud spike on the left hand side of the artwork. Now I will show you the start of the main flower spike, which needed to be divided in two because of the height of it. 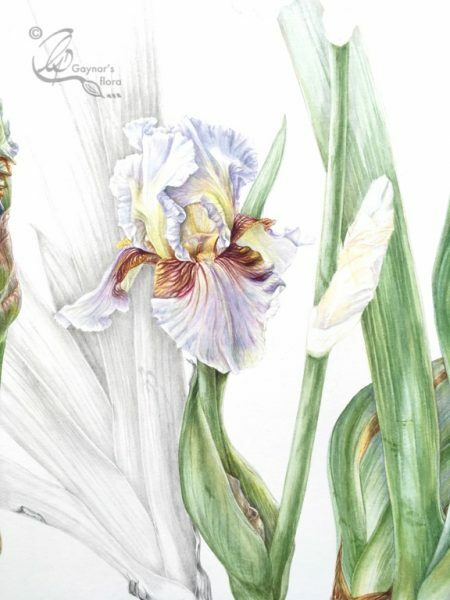 This is customary in botanical art when painting correctly. It is important to give an indication of the habit of the plant if painting life-size and the plant is very tall; try to include as much of it as possible in the same painting. I have divided the flower spike in two and have shown the cut ends with the same profile at the cut edge. On this stem you can clearly see the flowers and buds spiralling off. 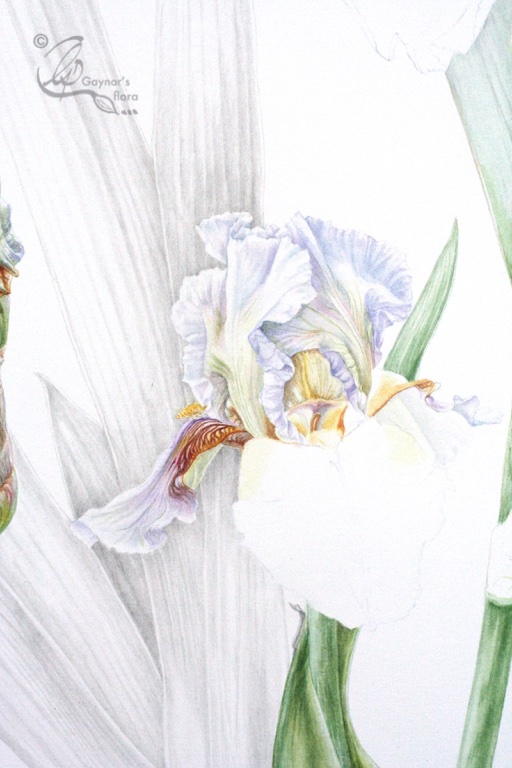 I have started off with a pale wash for the bud leading up to the main flower before completing the detail with a dry brush technique. Now the start of the top flower and he developing bud just underneath. This was actually quite difficult to get right. All my sketches were done outside in the garden last year and if you don’t keep your head still while drawing, the detail visible will change. If you are enjoying following the stages in the development of the Benton Iris ‘Farewell’, you might like to come to my next workshop March 23-24th, where this time we will be concentrating on a line drawing and tonal sketch. Normal, good preparation for any botanical art painting. Get in touch with me via the contact form below if you would like to join us. The details are on the Workshop page of my website. Look at the last blog of 2017 to remind you about how I started off this Iris. 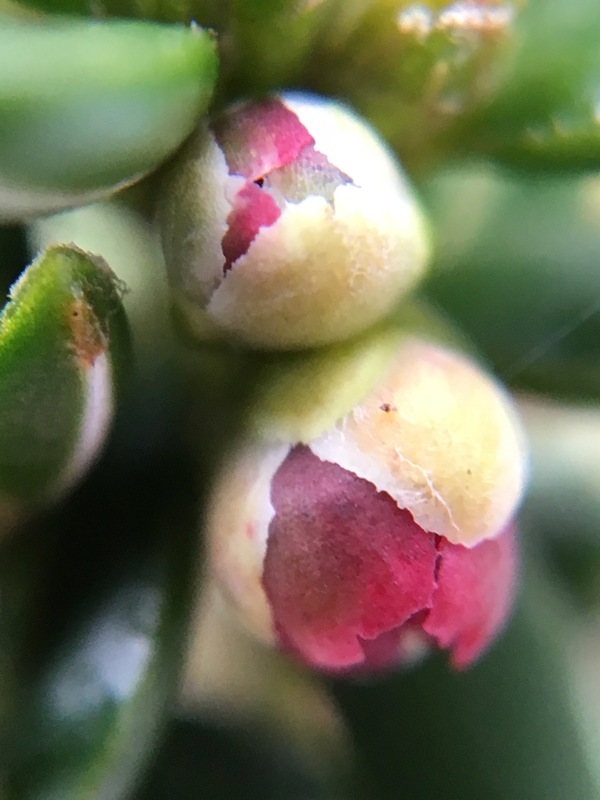 https://gaynorsflora.com/2017/12/30/last-gaynors-flora-blog-of-2017/. 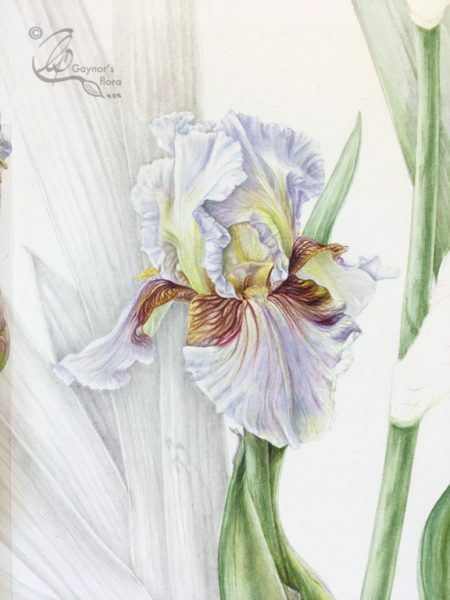 Although botanical art is fairly strict in what is ideally included in a picture, it is quite wide ranging and much wider than for pure botanical illustration. But it is important to remember that what I show you in my blog is my style of working. There are many different styles and none are wrong; It is the result that counts! This blog is my husband’s fault; He thought that today warranted one. It has been a bit of a tough day with many different things to sort out including preparation for my botanical art workshop: Composition and Perspective, starting tomorrow. But in the middle of the day the post arrived with a letter that gave me a huge lift. 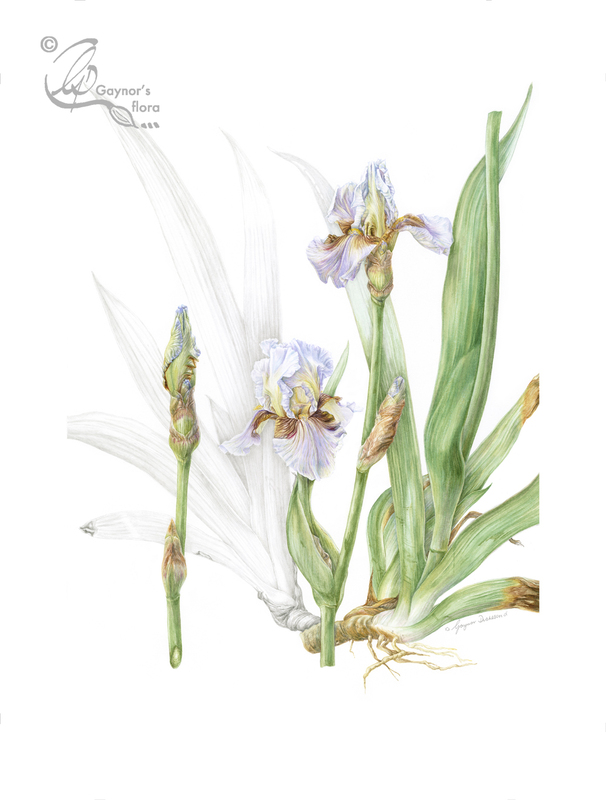 It said that my third picture in three years, has been accepted into the Chelsea Physic Garden Florilegium collection. This means that I am now a Fellow! 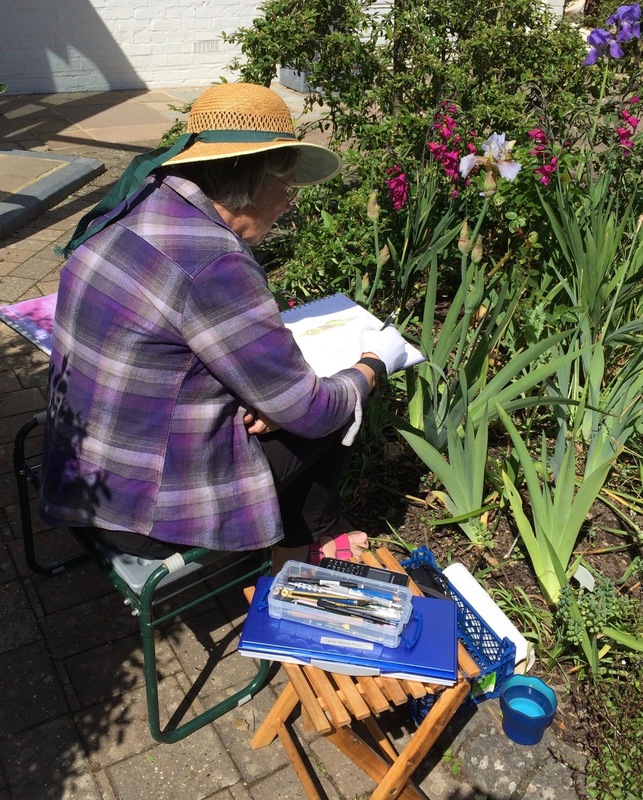 Of course I am really pleased too as it shows the effort has paid off – in addition to the added enjoyment I get from botanical art. 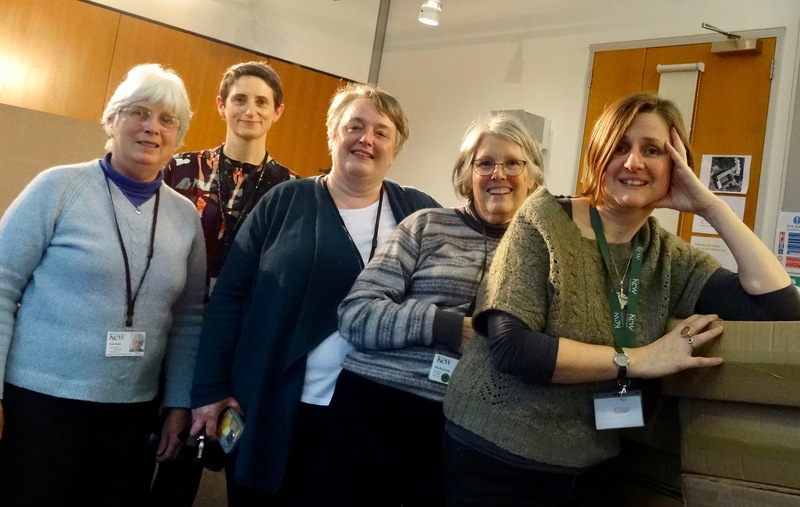 But, the CPGFS are a lovely group of people who are never afraid to share their knowledge about botanical art. I have learnt a lot since becoming a member and of course it is situated in an especially beautiful garden which is well worth a visit at any time of the year. 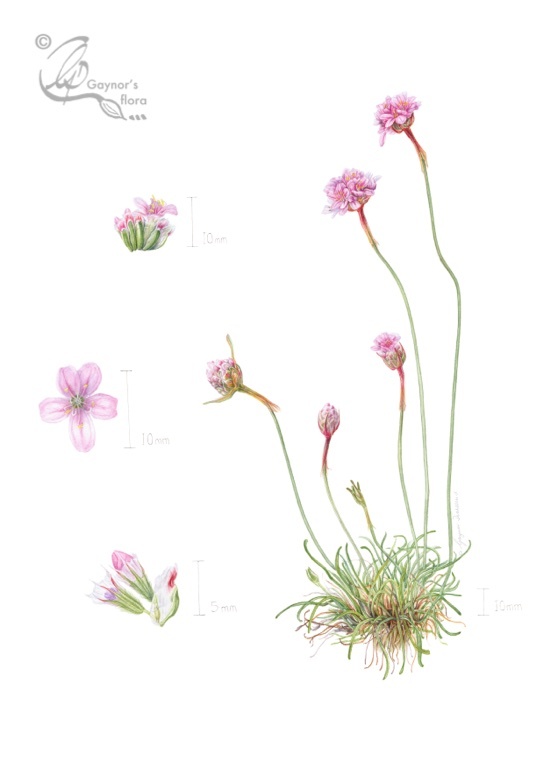 My third piece – Armeria maritima – Pink Sea Thrift.